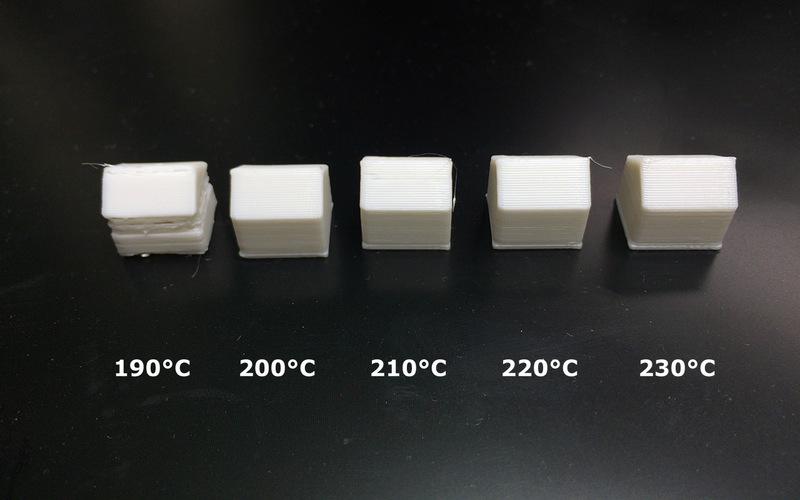 One of the most significant disadvantages of PLA versus ABS filaments is that the heat resistance of the PLA filament is significantly lower and if you want to 3D print parts that are going to be exposed to temperatures of 50-60 degrees or more Celsius, then PLA becomes unsuitable. The good news is that there are alternatives to ABS that are easy to be used as standard PLA, but offering higher temperature resistance as compared to standard PLA filament. Once such alternative is Proto-Pasta’s High Temperature PLA filament that we are going to try out now and see how it compares to standard PLA filament in terms of ease of usage and temperature resistance. 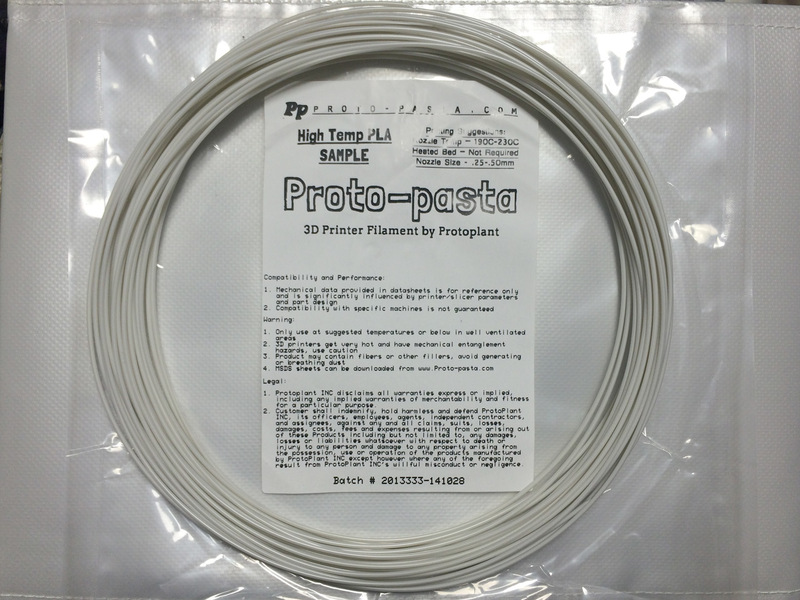 Proto-Pasta High Temperature PLA is a custom compound consisting of mineral filled impact modified PLA with a nucleating agent to help promote crystallization. Crystallization is what gives this material added heat resistance. To increase crystallization, parts must be soaked in hot water or an oven after printing at 60C-80C for about 5 minutes. According to the manufacturer of the filament the High Temperature PLA should offer heat deflection of up to 88°C after being post-treated as compared 50-60 degrees Celsius for most standard PLA. There is no need for a heated build plate and the recommended printing temperatures are between 190 and 230 degrees Celsius. The Proto-Pasta High Temperature PLA filament is with white in color with grayish appearance and we did some test prints for the whole recommended temperature as a printing range on our MakerBot Replicator 2 3D printer with a standard 0.4mm nozzle. The resulting quality was good for all prints of 200 degrees Celsius and up, only at 190 degrees we’ve had some issues with the filament getting properly extruded, so the test print of a simple house did not end up looking good. Just in case we have repeated the print multiple times and the result was pretty much the same – an unusable print, so apparently a temperature of 200 or above degrees should be fine. We have used a cup of hot water for the crystallization process and after that even at 80 degrees the printer part remained strong and did not soften. So if you need a PLA filament with higher temperature resistance the Proto-Pasta High Temperature PLA filament could be a good choice, though it comes with a higher cost and is apparently currently out of stock at the manufacturer.